← I, Pencil; Mind, Blown! 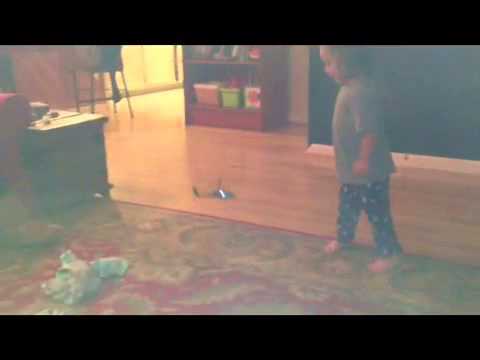 Nothing creates family bonding – and tantrums – like a remote control vehicle the size of a small bird. The living room at the Dude Casa has a tall ceiling. Perfect for flying vehicles. Inexpensive remote control helicopters have been on the scene for a few years, but my experience has been that these little bundles of joy are pretty delicate. As a result, I’ve resisted my urge to perfect my flying skills in the Dude air zone. I came across this sweet whirly bird on Huckberry, and it was a perfect match. A bargain and described as “practically indestructible.” I knew we’d test that description, but worth a $20 bet. What, you haven’t heard of Huckberry?! It’s the shiz. Go sign up for the awesomeness. Here’s how they describe themselves: Huckberry is a bi-weekly web magazine that brings you unique apparel and gear at members-only prices along with the stories behind the products. Our emails are awesome and infrequent. Indestructible? Eh…for the most part. We did break the on/off switch off in the first day. But nothing a MacGyver fix with the back of an earring can’t remedy. And to be fair, it is for 14+ and we’re rocking it with a 2 & 7 year old. So, yeah, pretty much indestructible. Now, GET TO THE CHOPPA!!!!! 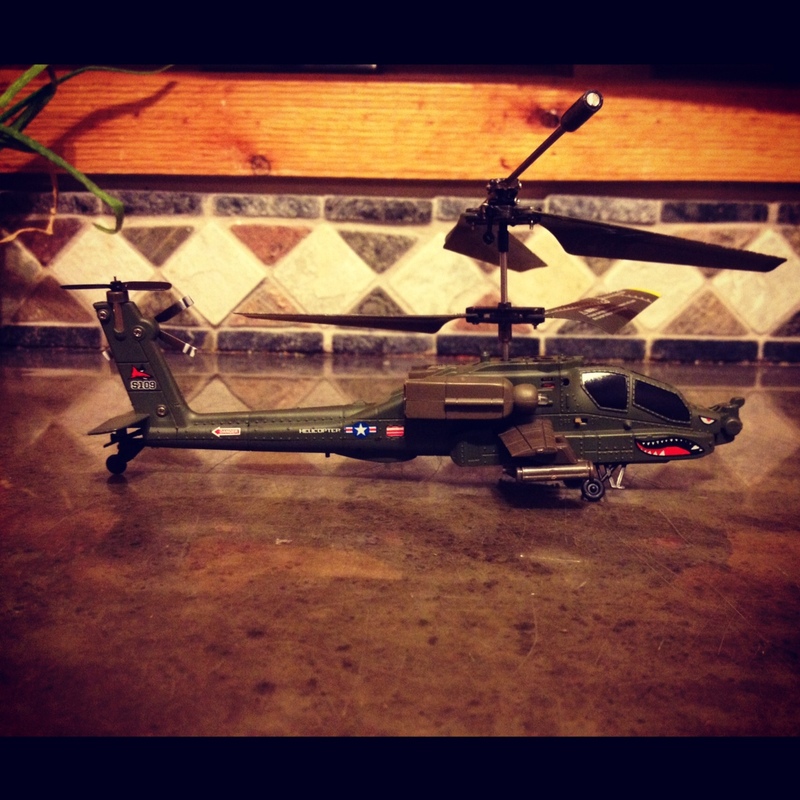 This entry was posted in Dude, Toys and tagged chopper, controlled, Dude, helicopter, Huckberry, remote. Bookmark the permalink.